A pop of color and an eye-catching texture make this red vessel sink a unique accent in your bathroom remodel. The high tempered deco-glass construction is durable and non-porous so it's easy to clean. 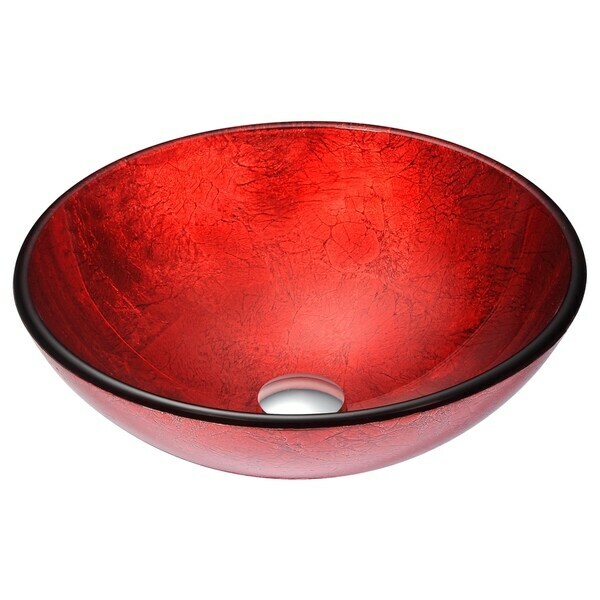 Complete your bathroom remodel with this stylish red vessel sink.